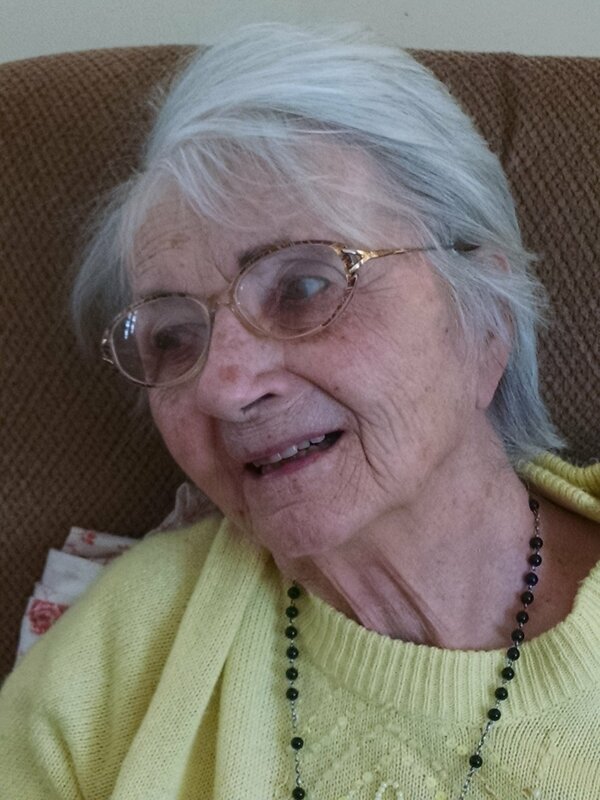 Eulogy for my mother, Dorisanne Kalivoda Reed, who died quietly at home on February 20, 2019. You can read my father’s lovingly crafted obituary here. Back home in Minneapolis, I have a picture of my mother that is not on the photo board my sister Stacey so lovingly assembled. 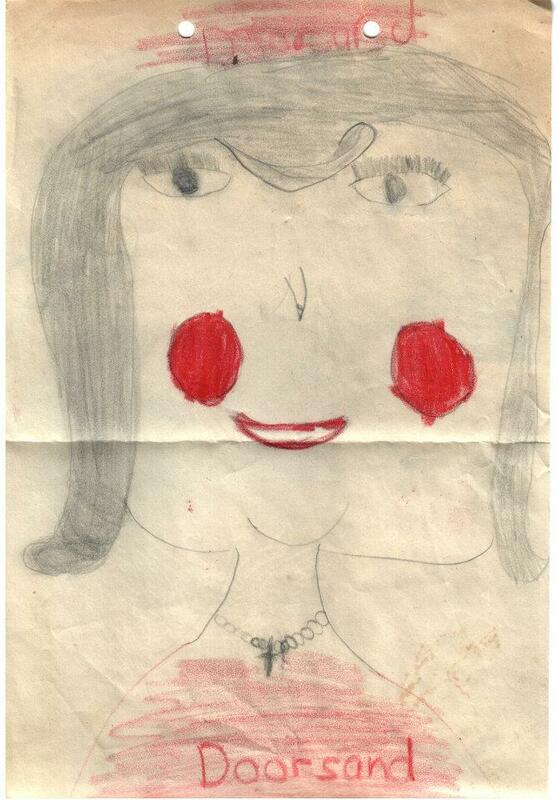 I drew this picture in kindergarten. In it her cheeks are very red and rosy, and an exact Crayola match for her smiling lips. Her hair flips out on both sides like a ski jump. She has a curl in the middle of her forehead. Her eyelashes are the size of porcupine quills. At the bottom of the picture I have carefully lettered the name she had that was not “Mom”; the name my father called her. D O O R S A N D. Doorsand. My mother was a great believer in phonics, and she never once corrected my spelling. In one of my very first memories of her, we are going to mass. I am old enough to go; my brother Scott is not, and this is a big deal. I get to wear patent leather shoes and a straw hat and carry a purse with a prayer book in it with pictures. So it’s a real problem when the car won’t get into gear. I don’t remember where my dad was, but I do remember a whole bunch of neighbor dads pushing the car down Stuart Street. Finally, one of them came over to the driver’s side of the car, reached through the open window and across my mother’s lap, and released the parking brake. My mother handled embarrassment, like she handled everything, with perfect grace. She was a big reader, my mom. I got my love of reading from her. She would take me to the library any time I wanted, and we’d both load up. I was a lucky child. She and my father agreed that I could order as many books from the Scholastic Book Services as I could read. When that was not enough, I began reading my mother’s Reader’s Digest Condensed Books versions of Love Story and Hawaii. At some point Reader’s Digest gave way to Penguin Classics, and eventually, I was an English major. Summer was a big time for reading for my mother, because school was out. We’d sit on the screened in back porch and read and read and read. When I came home to visit as an adult, with my own children, I would go back with an armful of bestsellers from two summers ago. After she retired and she and my father began traveling, she would pick up biographies or local authors or works of fiction from every place she and my father visited. Books were not just souvenirs; they extended the trip. This was a habit my whole family adopted when we spent time each summer in the Keweenaw Peninsula in Michigan. 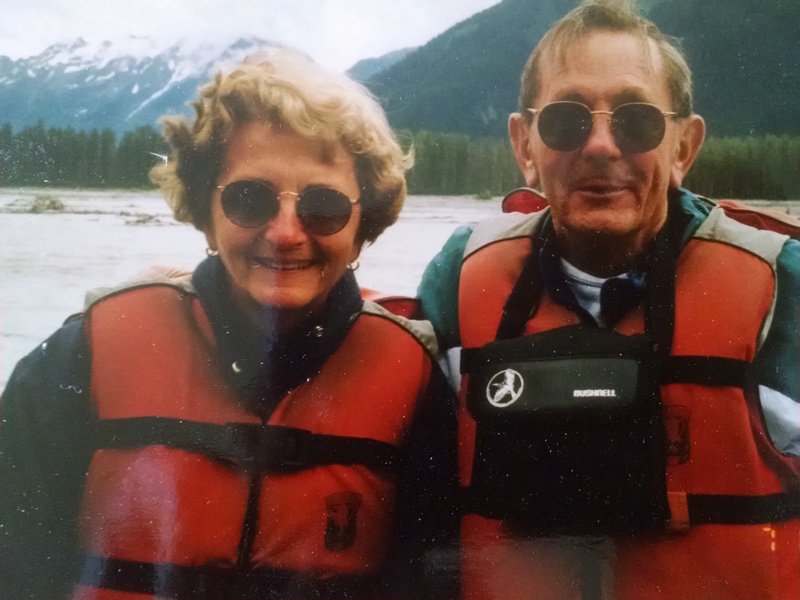 Even after she started to have trouble “getting her words out” – one of the earliest symptoms of Alzheimers – I was determined to keep her reading going as long as I could. At first I would find out what she was reading and get the same book, and we would talk about it over the phone as we read, , me in Minneapolis, her in New York. We read A Tree Grows in Brooklyn together that way, and To Kill a Mockingbird, and My Antonia. But eventually she stopped remembering to read the books. Or maybe it just became too frustrating to read, because she’d keep losing her place. I wasn’t ready to give up yet though. Nor was my sister Whitney, who kept taking her to Barnes and Noble and suggesting books she might like. When Whitney bought her a copy of Debbie Macomber’s The Inn at Rose Harbor, a Christian romance novel, I swallowed my pride, and I went to the library and got the exact same book. They call Alzheimer’s the long goodbye. And we have been saying goodbye to my mother for a long, long time. But the more my mother lost in speech, in cognition, in memory, the purer my understanding became of what it meant to love her, the clearer I was able to understand what her love had meant to me. And the more demonstrations of that love I saw in other people. Nor did I ever visit without seeing that love reflected back at me at least once from those beautiful, beautiful eyes. There are so many gathered here who knew and loved my mother. I can not describe everything she meant – even to just me – in five minutes, but I hope I have sparked a few stories of your own that you will share us with, today, and in the weeks and months and years to come. It is you who will help us celebrate her life, and keep her present in our hearts. And may her memory be a blessing to us all. « Hello and Goodbye.. for now. I’m glad to hear that Bernadette, and I’m sorry for your loss. I hope it was some comfort to hear from someone else in The Club No One Wants to Belong To. I am so glad your mother knew she was loved, and was able to show her love to you until the end. And I am so sorry that you both had to go through that long goodbye. I remain grateful that your earlier posts were an encouragement to me. My heartfelt condolences to you who are left to grieve. Thank you for sharing this lovely tribute. Your mom sounds lovely! Indeed she was. Thank you, Diana. My condolences. Your mother sounds like she was an incredible person. She was, Lydia. Thank you for letting me share her story with you. A beautiful tribute, Paula. I am sorry for your loss. Long goodbyes are very difficult. Hugs. Thanks, Norah. Good to touch base again. I’m sorry for your loss. I like your mom’s idea of reading regional biographies while traveling. Thank you for sharing Doorsand, Paula. I had a similar Alzheimer’s experience with my mom who died in 2007. My mom’s death was a gentle fade. It’s been a long haul for you and your whole family, but you hung on to love. There is no better gift and you’re sharing it with us. Take good care of yourself. You’ve been through a lot. Indeed, Elaine. And thank you. Such love in this, Paula.